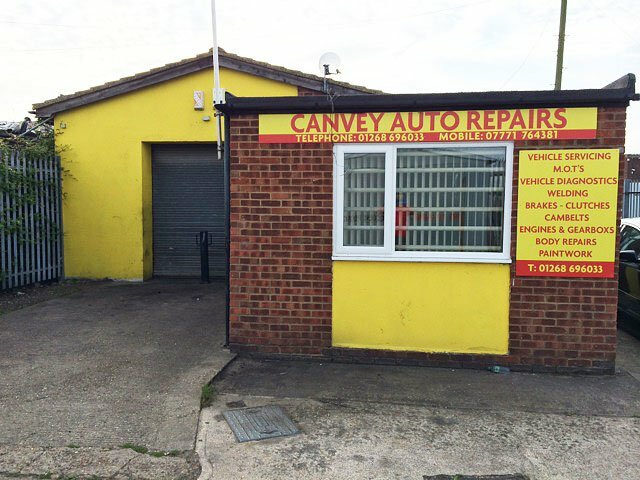 Canvey Auto Repairs was formed due to an increasing demand from our existing clients who had purchased parts from us. Happy with the parts they then needed experienced mechanics and fitters, who are familiar with their vehicle, to fit and install the engines, mechanical and body parts that they had purchased. We have now extended our garage facilities to include a full range of services including, the fitting of replacement parts, repairs, general servicing and maintenance services for most makes and models. You can rest assured that not only can we supply replacement parts at sensible prices, but we can also provide a comprehensive service, with experienced professionals on hand to take care of the fitting for you. Our mechanics are committed to taking care of your car repairs by providing quality workmanship, excellent service and attention to detail in everything we do. As specialists in salvage and parts for all models of Ford, Renault, Peugot cars and Ford Transit Vans, we have extensive knowledge of the workings, fittings and ‘tricks of the trade’ when it comes to repairing and fitting parts to these vehicles. We recommend a regular service to keep your vehicle running smoothly and to improve and maintain cost effective and environmentally friendly motoring. We offer a variety of service options. Prices depend on the costs of replacement items such as spark plugs, air filters and the choice of oil. We are happy to quote you for this in advance. If you would like us to test your brakes and if necessary repair or service your brake system for you we are able to supply and fit both brake pads and discs for most makes and models of vehicles. We also offer exhaust replacements and repairs. If your exhaust can be repaired we are able to fit or weld sections for most makes and models of cars. You may find that we can supply a second hand part from our stock of salvage parts and save you some money. Alternatively we can supply and fit a complete exhaust systems for you. We are also an exhaust centre and we can repair, weld or supply and fit complete exhaust systems or sections for most makes and models of cars. If you need a gearbox replacement or repairs, we can supply and fit a gearbox for you. We may even be able to supply parts from our salvage stock to help save you buying new parts or a complete gearbox. Please ask our experienced mechanics for further advice on your particular make and model of vehicle and they can prepare a quotation for you. We have extensive stock and are always salvaging new vehicles. If you cannot find the part that you require on our website, it does not mean that we do not have it in stock. Please be sure to contact us and ask. Design by DV8 Creative Solutions.